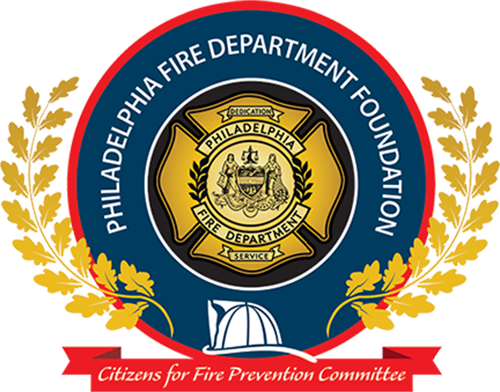 Our mission is to raise funds needed to promote the fire prevention and life safety education programs helping the PFD better protect the citizens of Philadelphia. Our vision is to develop intervention and outreach campaigns and provide public outreach programs through awareness and youth education. We promote and seek to implement new ideas that continue to support fire prevention initiatives. We are committed to expanding beyond our present scope, increasing funds available for technology and equipment which will enhance the Philadelphia Fire Department’s reputation as a model for others to emulate. We are motivated to work collaboratively with all PFD sister organizations. We strive for excellence in serving the needs of the 5th largest Fire Department in the country and the many men and women who protect the City of Philadelphia everyday. The Philadelphia Fire Department has been serving Philadelphia for nearly 265 years. Our first organized volunteer firefighting service was launched on December 7, 1736, and served the community with unsung acts of bravery for nearly 135 years. In the late 1860’s, city officials spoke of transforming this volunteer service into a professional fire department to meet the demands of the City’s growth. In December 1870, a council meeting was held and an ordinance was issued to create a professional fire department – and the Philadelphia Fire Department was born. The legacy of our early beginnings has made us heir to a lasting public image – an image that is protected and refined by the dedicated men and women of the Philadelphia Fire Department. You can reach the Philadelphia Fire Department Foundation by mail, phone, email or using the form below. The Philadelphia Fire Department offers 10-year lithium battery operated smoke alarms free of charge and will even install them for you. Fill out the form below or call 311. You are a resident of the City of Philadelphia Pa.
You live in a one or two family OWNER occupied dwelling. You otherwise could not afford to purchase smoke alarms. NOTE: If you live in an apartment building, or renting a home. It is the responsibility, (by law) of the landlord to provide smoke alarm protection on every level of the home.